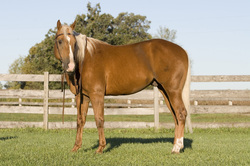 Gate Tree Stable is a full care breeding and boarding facility with an indoor arena. We are also standing Lynx A Peppy Poco Bar and offer mare care. With our 2 fully insulated and well maintained barns, our knowledgeable staff ensures your horse has the best of care. Jean Kirschman (author of Biomechanics of Horse Training) also offers lessons here, please call 320-290-5961 to set a schedule with her. Located just east of Sauk Rapids MN, Gate Tree Stable is an easy commute to St. Cloud making it an ideal location to board for college students, families and people just getting into horses. Owners Dave and Nancy Cottrell live on site and offer excellent care. Please feel free to call her at 320-267-3259 to come see the facility.